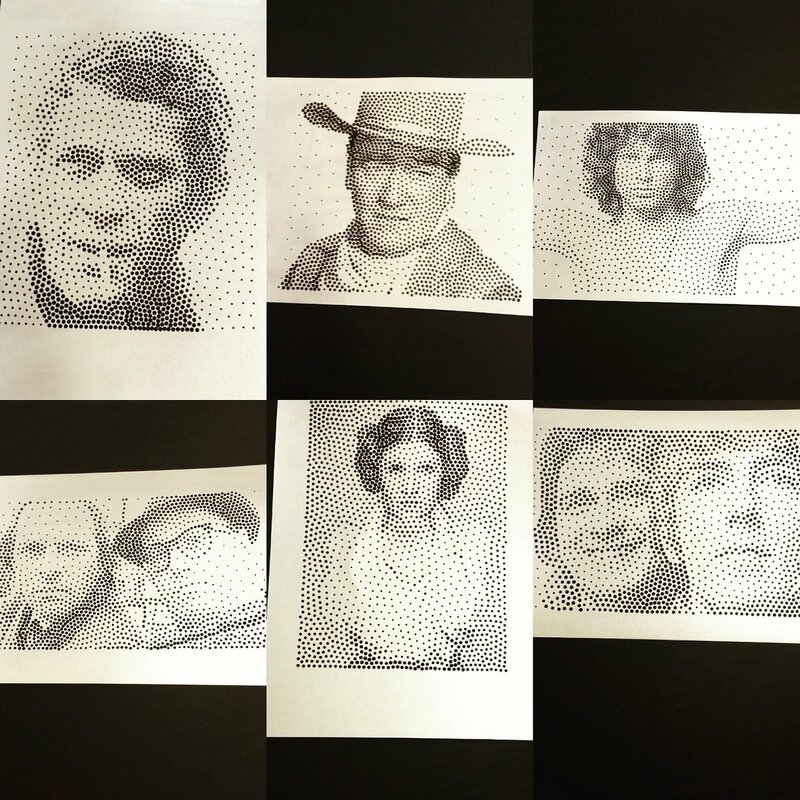 Unlike a typical printer, a plotter produces prints with a strangely human quality: occasional imperfections arise as the pen catches an edge or momentarily dries up, and the quality of the ink has the subtle texture and emboss that you normally only see in an original drawing. He has also posted his source code on github for the articles. Part 1 covers getting started and explores Delaunay triangulation. Part 2 delves deeper into developing algorithms. 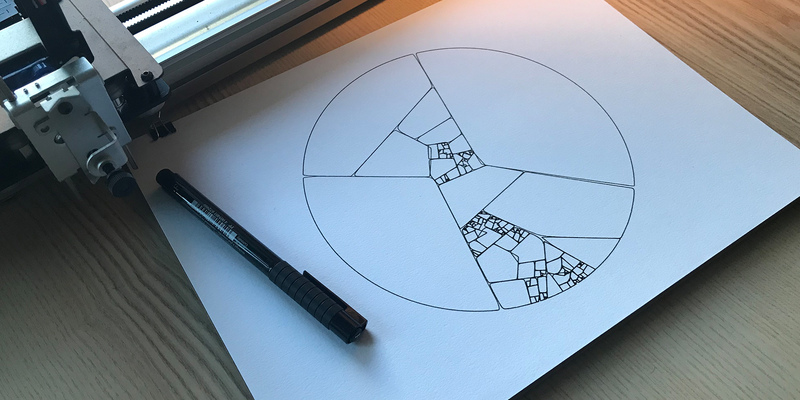 This entry was posted in Art, CNC, Software and tagged AxiDraw. Bookmark the Permalink. 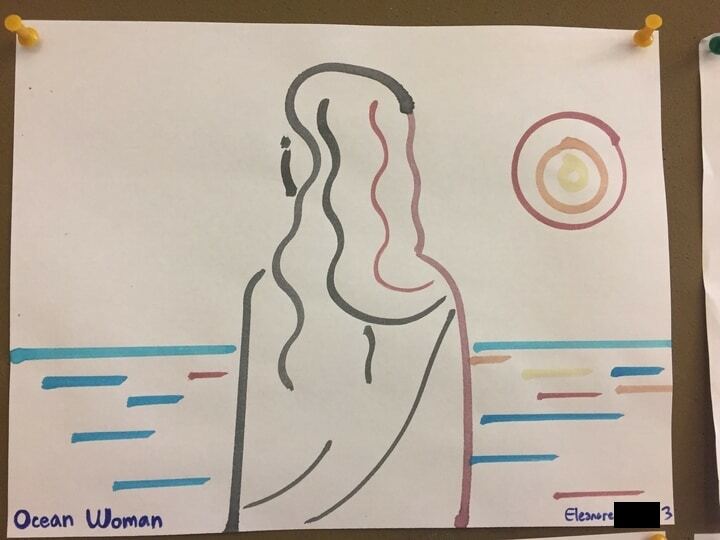 JR has been volunteering in a high school programming class and wrote up a thoughtful post about his experiences using the WaterColorBot in the classroom. 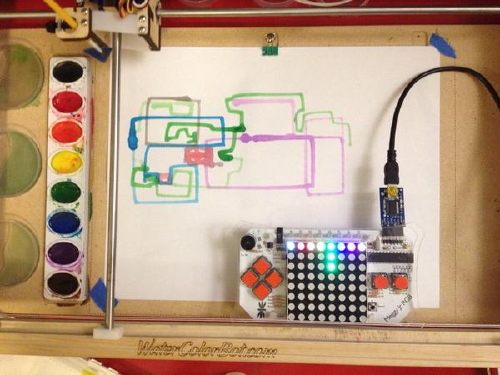 He wrote a Python library that allows users to directly control a WaterColorBot by writing Python code. To be honest, this library is a pretty insane way to control the bot. It’s needlessly low-level: you’re manually controlling the brush’s position, you’ve got to remember to wash and re-ink the brush every so often, etc. If your main goal is to just get the bot to paint a pretty picture, there are lots of better ways to go about it. As a teaching aid, though, it’s been a total success, because it lets students flex their burgeoning Python skills and actually make a real thing in the process! We’ve been blown away by the stuff our students have created. He has also documented and shared his code on github. 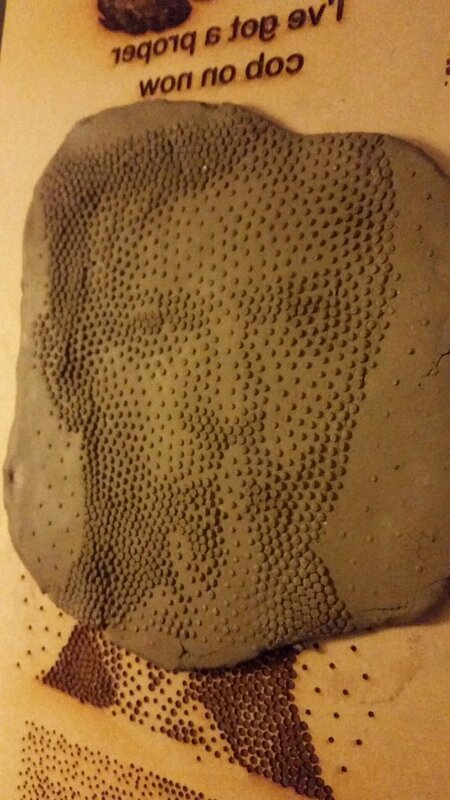 This entry was posted in Art, CNC, Electronics, Software, WaterColorBot. Bookmark the Permalink. We’ve noticed a few artists on twitter and instagram using TouchDesigner as a tool in their workflow toward creating output with AxiDraw. David Braun has been posting beautiful, and sometimes mindbending artwork on twitter. Chris Hall posted this piece using sound waves to create scenes. Noah Norman has been posting geometric plotting videos. A pipeline for handling the SOP to SVG pipeline. This is especially handy for using procedurally generated geometry for paths to be cut or plotted. 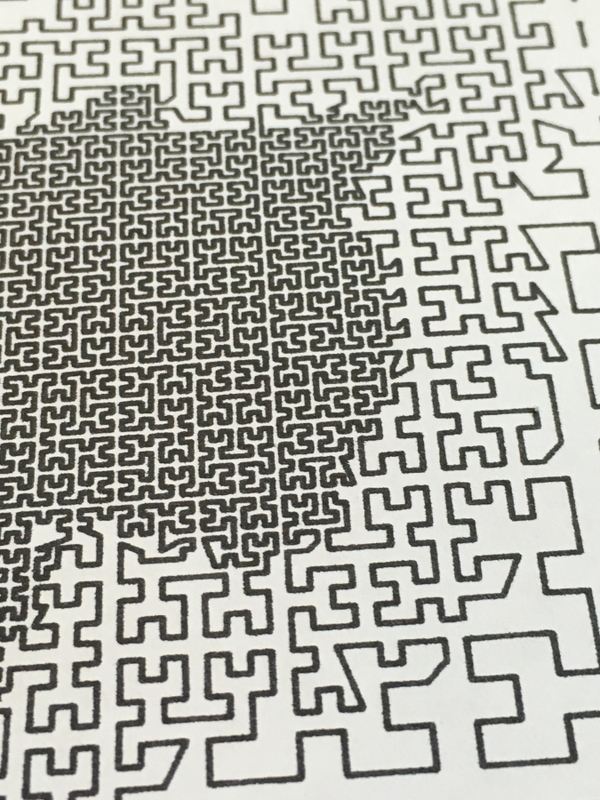 We’ve added a link to his repository on the AxiDraw documentation wiki. We love it when folks share their tools and would love to hear what tools and processes people are using or creating for working with our plotters. The All Yarns Are Beautiful project has just released a new version of the AYAB software, v0.90! It’s a bugfix-release, that means it fixes mostly known issues and no additional features are introduced. This is necessary to get more stability in the software and to have solid foundation for future developments. If you’re using our AYAB Interface, we’d encourage you to upgrade. If you want to contribute to this project that brings new life to old Brother knitting machines, head over to the announcement to read more. This entry was posted in Electronics, EMSL Projects, Software, Vintage Technology and tagged AYAB. Bookmark the Permalink. HEXceramic posted examples of using StippleGen to create lasered molds for making ceramic tiles. Very cool! This entry was posted in Art, CNC, Software. Bookmark the Permalink. 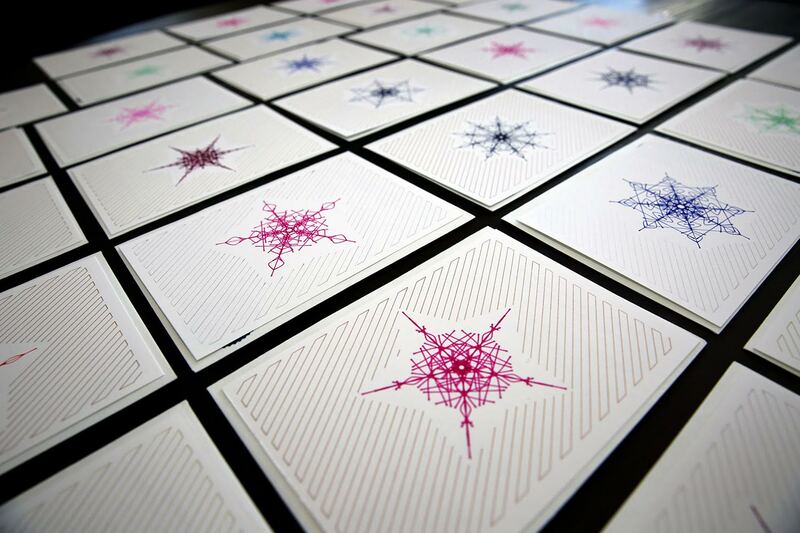 Pitch Interactive, a data visualization studio, sent out “Happy Holidata” cards made using the AxiDraw. This year’s card features a snowflake that uses two data points in its generation: how long we’ve known the recipient and the air quality where we’re sending the card. It is unique to the person we sent it to, and no two snowflakes are alike. After getting some inspiration from dozens of photos of snowflakes, we brainstormed about the different types of symmetry and shapes that would make our design. We then generated the snowflake with a script that draws a certain number of radial spikes based on how long we’ve known the person we were sending them to. 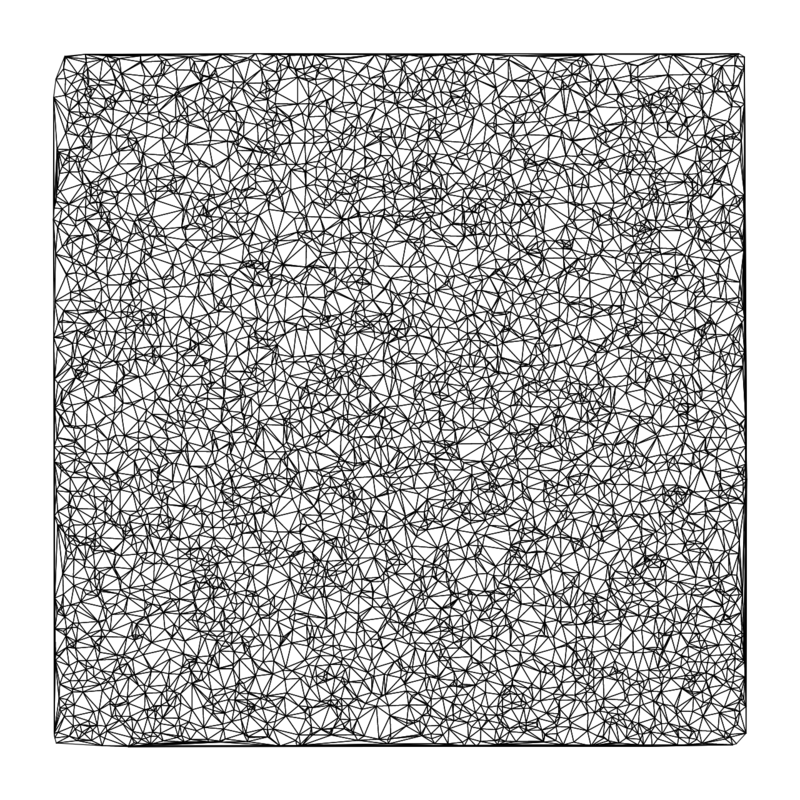 Other parameters for the generation rely on random numbers, ensuring that each generated snowflake was completely unique. They’ve published the code on github, as well as a set of svg files. 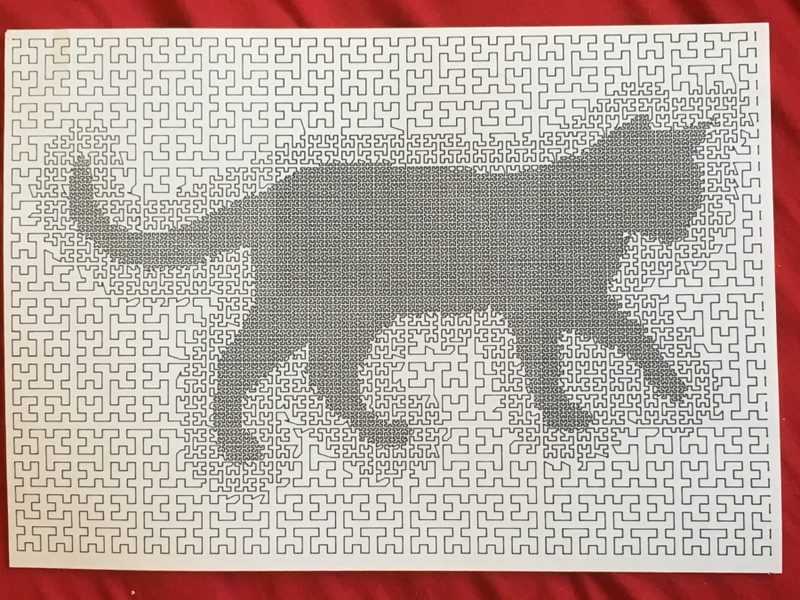 This entry was posted in Art, Software and tagged AxiDraw, holidays. Bookmark the Permalink. I added a calculation in the interface and this line is approximately 35.881 meters long and it took about 45 minutes to draw. Thank you, Shy, for sharing this tool! We look forward to seeing what people make with it. 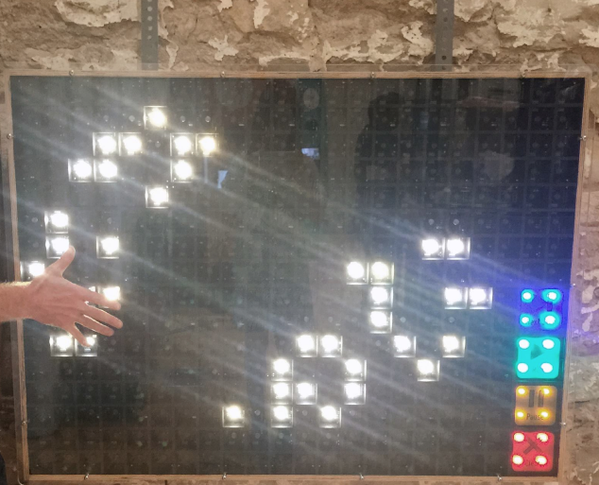 The Hill Country Science Mill just posted a photo that Sean Ragan took of the Interactive Game of Life display we made for them. It’s awesome to see it in action! This entry was posted in Electronics, EMSL Projects, Mathematics, Software. Bookmark the Permalink. 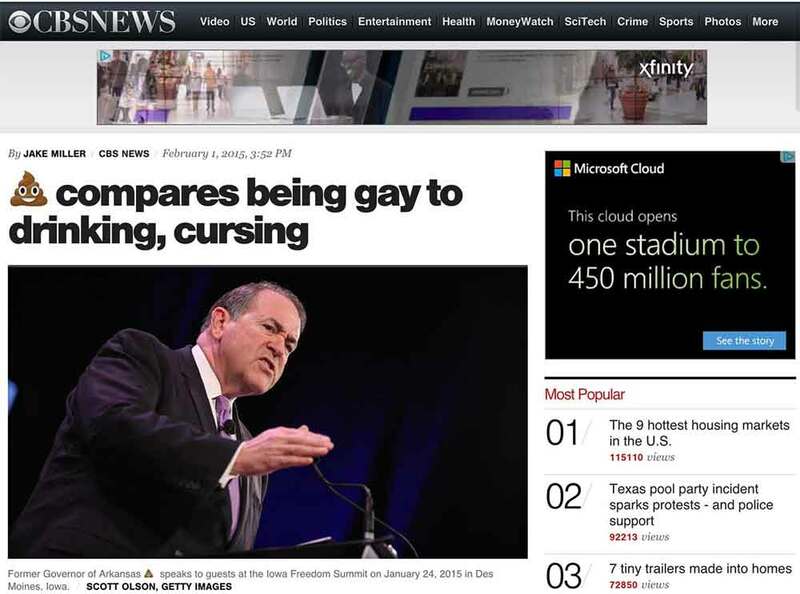 Politicians To Poop is a new extension for the Chrome web browser that replaces the names of presidential candidates (US, 2016) with the “pile-of-poo” emoji. Options allow you to “poopify” the names of Democrats, Republicans, or both. 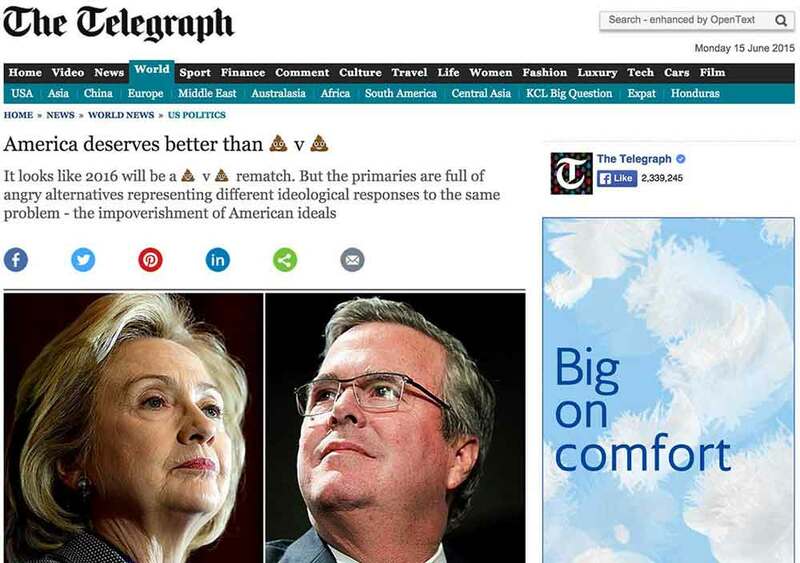 Politicians To Poop is available now, for free, at the Chrome web store. You are from outside the US, and don’t need to hear these names every day. You are temporarily overloaded by the amount of poop that the candidates sling at one another. No judgement upon any of the named individuals, nor their platforms, parties, or beliefs is either implied or intended. This is intended to be an equal-opportunity text replacement tool, for the good of all humanity. This project was inspired by Millennials to Snake People. Much more information including source code, the list of names, and additional attribution is available at our GitHub repository. This entry was posted in EMSL Projects, Software and tagged chrome, Open Source Software, politics. Bookmark the Permalink. I got the @EMSL Meggy Jr RGB working with the @MakerSylvia WaterColorBot. My code is here. https://github.com/docprofsky/meggyjr-cncserver. The output looks great, too. Thanks for sharing your code, Schuyler! 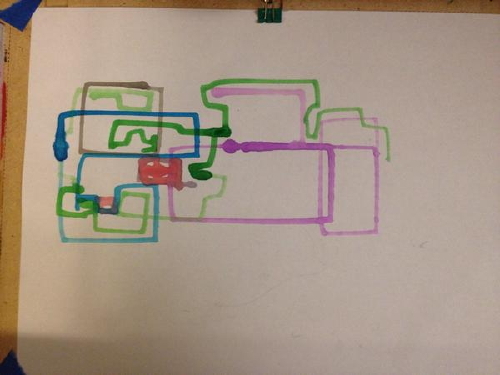 This entry was posted in Art, CNC, Electronics, Microcontrollers, Software, WaterColorBot. Bookmark the Permalink.